Our core team at Sovaris has spent the past three decades working with complexity in fields including metabolic networks, epigenetics, and functional genomics; astronautics; training and education; medicine; and informatics. We have been developing tools, systems, and methods to optimize human performance in extreme environments. Sovaris’ experience in molecular networks, systems biology, and human performance, along with its NASA collaborations, academic partnerships, and corporate partnerships, creates an ideal environment for innovation related to our objectives of countermeasure development in space biomedicine and translation of that know-how to earth-bound medical practice. Robert Hubbard, Ed.D., M.B.A., M.A. 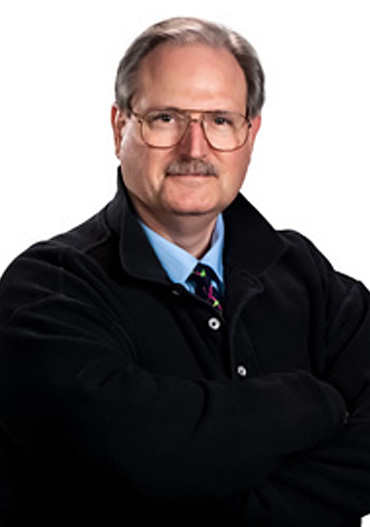 C. Rick Lyons, M.D., Ph.D.
Dr. Michael A. Schmidt is the Founder, CEO, and Chief Scientific Officer of Sovaris Aerospace, a company focused on assessment and solutions applied to humans in space and extreme environments on earth. Dr. Schmidt is also co-chair of the Advanced Pattern Analysis & Countermeasures Group. His clinical and research work is focused on a systems approach to complex problems of human performance in extreme conditions. He applies the same complexity models derived from space flight countermeasure development to biomarker discovery, predictive analytics, and personalized medicine paradigms on earth, using a convergent variables approach. Dr. Schmidt is co-developer of the personalized medicine program for the Corvette Racing Driver Science program and the 24 Hours of Le Mans racing series, and leads the precision medicine effort for selected teams (drivers, pit crews, etc.) within professional motor sports (NASCAR, etc.). He also directs the molecular profiling and countermeasures efforts for elite athletes ranging from NFL to NBA to Olympic athletes, S.W.A.T, and military Special Forces. Among these, he directed the molecular profiling and countermeasures effort for the Golden State Warriors, during their NBA record-setting 73-9 season in 2015-2016. He also works closely with the Nike Human Performance Division, advising on the molecular profiling & countermeasure efforts for NFL athletes. These professional human performance efforts include targeted and untargeted integrated omics profiling, combined with molecular network-directed countermeasures. Dr. Schmidt applies these same approaches to work with the commercial space flight sector for orbital and suborbital space flight, as well as with private and government missions directed toward the human habitation of space (Moon, Mars, etc.). Dr. Schmidt has also co-directed a Mayo Clinic research team ascent of Mount Kilimanjaro (expedition leader, Conrad Anker), studying the effects of altitude, hypobaric hypoxia, & targeted molecular countermeasures. He also led the Sovaris Aerospace selection as a member of the FAA Center of Excellence for Commercial Space Transportation (COE), and leads the Sovaris/COE ongoing human factors collaboration surrounding establishment of standards, assessment tools, and spaceflight countermeasures. Dr. Schmidt did his doctoral (Ph.D.) research in Molecular Medicine and Biochemistry within the Life Sciences Division at NASA Ames Research Center (now the Space Biosciences Division) under NASA Ames’ Chief Medical Officer Ralph Pelligra, M.D. His research was focused on human performance and molecular network changes in extreme conditions, such as prolonged hypergravity. In this work, his team (led by Malcolm Cohen, Ph.D., Chief of the Human Information Processing Research Branch in the Human Factors Research and Technology Division at NASA Ames Research Center), conducted one of only two studies to expose humans to 22 hours of continuous hypergravity (elevated G forces by centrifugation) on NASA’s large radius, 20G human centrifuge. Dr. Schmidt also did a fellowship at NASA’s Human Systems Integration Division, with an emphasis on physiologic monitoring and countermeasures aimed at raising human performance in extended microgravity, artificial gravity, sleep deprivation, night vision operations, pararescue, high altitude flight, and other stressors encountered in extreme environments. His subsequent work utilized the NASA 20G long radius (27.36 ft.) and short radius (8.36 ft.) centrifuge to quantify effects of different G levels, radii, and their resulting gravity gradients on body fluid distribution, cardiovascular regulatory responses, molecular networks, and the effect of lower limb exercise. For his second doctorate, he received a Ph.D. in Neuroscience from Lancaster University (UK), with a focus on assessment and modification of neurotrophic molecular networks, emphasizing molecular network-directed countermeasures. This work formed the basis for his efforts to discover methods to protect the human brain from the radiation and isolation of deep space, in addition to facilitating neuroplasticity in humans on Earth, such as in combat operations and elite contact sports. This includes brain-focused radiation countermeasures work with elite tactical units. He has done additional studies at the Massachusetts Institute of Technology (data and models; artificial neural networks) and the University of Colorado (metabolomics). Dr. Schmidt is certified as a Wilderness First Responder (WFR). He is also the founder and co-developer of the Spaceflight First Responder and Spaceflight Advanced Life Support training and certification programs (in collaboration with Wilderness Medical Associates). The certifications are based on the principles of wilderness and rescue medicine, with an emphasis on the prevention and identification of medical emergencies, appropriate technology, and risk management in the isolated, austere, and extreme environment of space. Dr. Schmidt is co-author of the paper, “Personalized Medicine in Human Space Flight: Using Omics Based Analyses to Develop Individualized Countermeasures that Enhance Astronaut Safety and Performance,” published in the journal Metabolomics in 2013. The paper was featured by Springer Science Media, highlighting the most influential papers of 2013 and 2014. As part of the Metabolomics Society Precision Medicine & Pharmacometabolomics Task Group, he was a lead author of “Metabolomics Enables Precision Medicine” (Metabolomics 2016). This paper was the 2017 winner of the Best Review Award in Metabolomics. As part of the Precision Medicine group, he also published a seminal review paper on the use of precision methodologies in metabolomics entitled, “Preanalytical Processing and Biobanking Procedures of Biological Samples for Metabolomics Research” (Clinical Chemistry, 2018). His textbook chapter, “Pharmacogenomics in Spaceflight: A Foundation of Personalized Medicine in Astronauts,” was published in The Handbook of Space Pharmaceuticals, Springer Nature 2019. Over a ten year period, Dr. Schmidt trained in empathy-centered conflict resolution and mediation, under the late Dr. Marshall Rosenberg and his team (through the Center for Non-Violent Communication). Dr. Rosenberg was considered among the world’s innovators in developing collaborative systems and in resolving conflict in extreme conflict zones. Dr. Rosenberg had mediated in some of the most destabilized parts of the world, including Rwanda, Bosnia, East Timor, Iraq, and South Africa, as well as with organizations in need of dispute resolution. Dr. Schmidt has evolved these empathy-centric methods to support individuals in extreme or challenging performance environments, to build strong cohesive teams, and to facilitate collaboration. Exemplified in these efforts is his work leading the molecular profiling and countermeasure initiative for coach Jock Boyer and the Rwandan National Cycling team, in support of their emergence from the era of the genocide (See: Rising from Ashes). He is refining these same methods to develop team cohesion in the isolation, confinement, and other psychological challenges of deep space. Dr. Schmidt is a professional member of the Special Operations Medical Association, the Aerospace Medical Association (Life Sciences and Biomedical Engineering Branch), the Commercial Spaceflight Federation, the Society for Neuroscience, the Metabolomics Society, the Epigenetics Society, and the European Society for Translational Medicine. He is part of the Precision Medicine & Pharmacometabolomics Task Group of the Metabolomics Society. Dr. Schmidt is on the editorial board of the European Journal of Molecular & Clinical Medicine and is on the Advisory Board of the European Society for Translational Medicine. He is also on the curriculum development team for the Certification in Nutritional Genomics with the American College of Nutrition. Dr. Schmidt is experienced in open water/ocean kayaking, alpine mountaineering, and high altitude research with groups, such as the Mayo Clinic. He has also spent 25 years studying Orcas in the wild, which includes documentary film work. 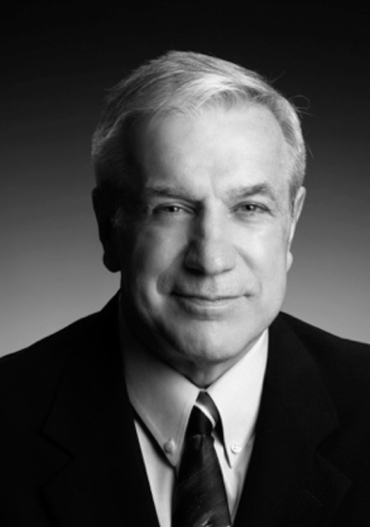 He resides in Boulder, CO.
Robert M. Hubbard, Ed.D., M.A., M.B.A.
Dr. Hubbard has extensive experience in both early-stage and mature organizations dealing with high-technology Aerospace, Higher Education, and Biotechnology. A 17-year career with North American Aviation/Rockwell International developed operational skill-sets across multiple manufacturing, engineering and new product development; New Business Development contracts, pricing and negotiation of government and commercial platforms; and culminating as Director of Marketing and Sales with a new startup division of Rockwell International. His work with Rockwell consisted of a significant operational engagement with the U. S. space program, including program experience in major aerospace accomplishments (Apollo Space Program, command and service modules; Hound Dog missile; Mars Viking Lander; Space Shuttle); military (Minuteman Missile experimental machine shop; Rockwell B-1B Lancer; Ships Inertial Navigation Systems; and a personal privilege to work with Col. Robert C. Chilton at the LAX Experimental Flight Operations, and Wright-Patterson AFB); and Commercial aviation (Sabreliner High-Flight program; and Rockwell AeroCommander 112). This work also included development on the X-20A Dyna-Soar (Dynamic Soarer), an early single-pilot manned reusable space plane conceived as a reconnaissance platform, satellite inspection vehicle, and space interceptor. His former personal consulting group (AirConsul) provided training to Fixed-Base Operators on behalf of Aircraft Owners and Pilots Association (AOPA) nationwide. Dr. Hubbard continues to enjoy the privileges of being a licensed private pilot. Dr. Hubbard has previously served as Director/General Manager of Pulsewave, LLC, located in the Boulder-Denver area, executing New Technology and Product research-and-development of a unique micronization device applicable to minerals and mined materials, chemicals, organic compounds, plant-derived small molecules, food and plant bulk materials, man-made or synthetic materials, and animal based materials. A significant focus included collaboration with the Department of Energy and associated universities, resulting in unique results described as having a major potential to serve National and commercial interests in energy production. Dr. Hubbard currently serves Sovaris Aerospace, LLC, making available a strong knowledge base in Organizational Development, Quality Assurance, Intellectual Property, Contracts and Agreements, Systems Analysis, and Digital Creative Development. Higher education experience included full-time faculty and administrative positions: Professor/Director of Graduate Studies and Adult Continuing Education; Professor of Counseling Psychology and Business Leadership programs executed across college and university posts; and founding member of the Advisory Board to School of Technology, and adjunct Professor, Eastern Illinois University. 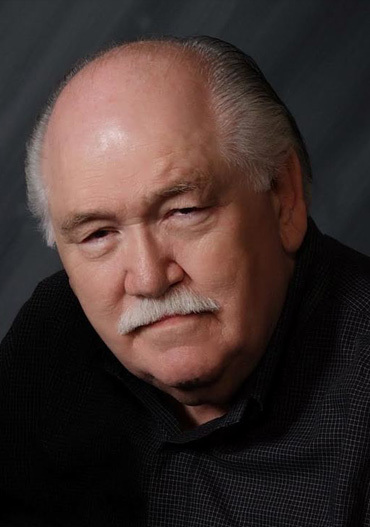 Dr. Hubbard is the originator of the LEAD Adult Studies Program, Eastern Nazarene College, Quincy, MA, enabling the college to remain successful across years in a highly competitive Higher Education environment. 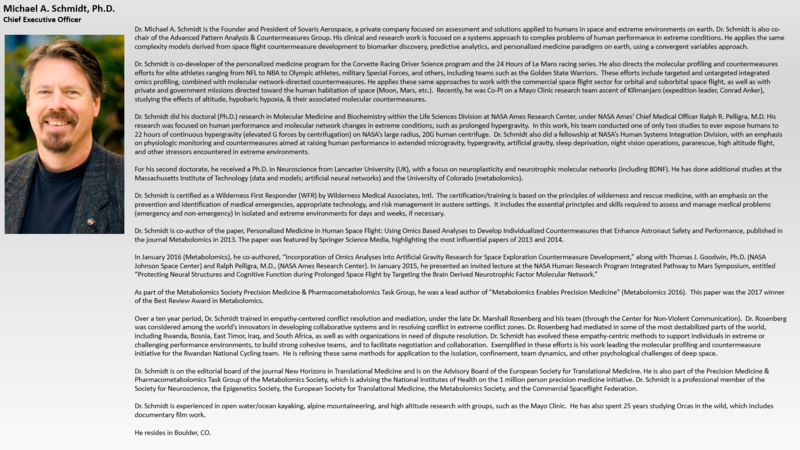 Credentials include Ed.D., Boston University; M.A., Eastern Nazarene College; Executive MBA, Suffolk University, Boston; and three post-doc credentials, Harvard School of Medicine, Boston, MA. NASA cellular physiologist (Retired), pioneer and authority in 3D biology, tissue engineering, bioelectromagnetic field effects, and synthesized tissue growth. Dr. Goodwin was the Manager of the Disease Modeling and Tissue Analogues Laboratory at the NASA Johnson Space Center and Lead Scientist for the Oxidative Stress and Damage research discipline for more than 15 years. Known for 30 years of work in 3D tissues for study of human physiology and tumor biology, 3D models as microbial hosts for infectious disease, and research into effects of ultra-low frequency electromagnetic fields on human tissues. Dr. Goodwin is Honorary President and Chair of the Personalized Medicine panel of the European Society of Translational Medicine (EUSTM). He holds adjunct positions at the University of Texas Medical School, Galveston Texas, Dept. of Surgery, Division of Cardiothoracic Surgery, the University of Houston, Dept. of Health and Human Performance, and is an Adjunct Scientist at the Texas Biomedical Research Institute and the Southwest National Primate Research Center which is sponsored by the National Institutes of Health. 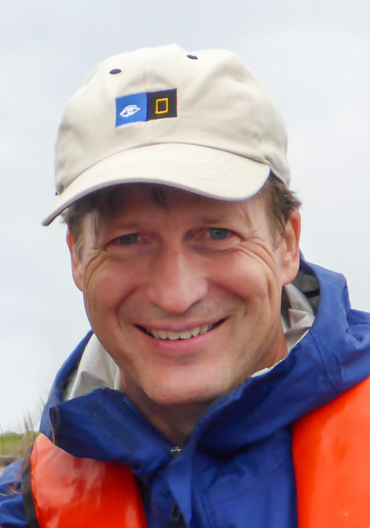 He has authored or co-authored over 40 peer review articles, two book chapters on three-dimensional biology, has been awarded 21 U.S. patents, with several disclosures pending, published more than 59 peer-reviewed scientific papers, co-authored two book chapters on 3D biology and human physiology, and is the recipient of more than 70 NASA Scientific and Technical awards. Dr. Henrichs is an explorer at heart. He thrives on the edge, with a joyful passion for medicine, physiology and elite performance in remote and extreme environments. He is a practicing emergency physician, certified by the American Board of Emergency Medicine. As an expedition physician for National Geographic and Lindblad Expeditions, Dr. Henrichs provides medical support for projects in remote international locations, often hundreds of miles from medical care. As a faculty member and instructor for Adventure Medical Seminars, he taught wilderness medicine in field in locations such as Alaska, Costa Rica, and Baja, while also dogsledding in the Northwest Territories of Canada. While a physician for the Himalayan Rescue Association in the Everest Region of Nepal, Dr. Henrichs provided medical support to trekkers, expedition climbers, and indigenous people. His efforts there earned him special recognition and honors at the British Embassy in Kathmandu. He has studied high altitude related illness on Mt Rainier in Washington State and has conducted medical research on Denali (Mt McKinley) in Alaska. He has published scientific papers in the New England Journal of Medicine and the American Journal of Emergency Medicine. Dr. Henrich’s name is attached to a challenging first ascent on the South Face of Denali that he pioneered with his friend Dr. Roger Volkmann. He also climbed to the summit with Gary Scott when Mr. Scott set a world record for the fastest ascent of Denali (18 hours and 29 minutes). 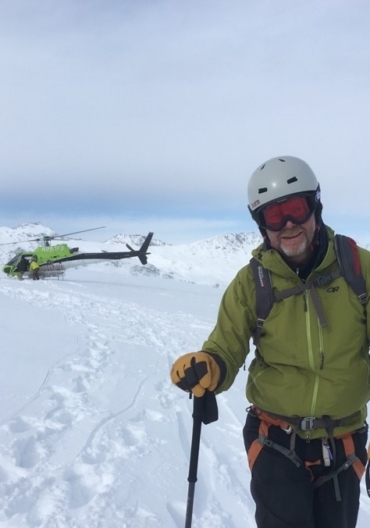 Dr. Henrichs has been a physician coordinator and patroller for the Mt Baker Ski Patrol in Washington State, and the medical director for the American Alpine Institute. He served as a climbing ranger on Denali for the National Park Service in Alaska. As a rock climber, he has done clean ascents of big walls like Half Dome and El Capitan in Yosemite Valley, California. Dr. Henrichs earned his medical degree at the University of Minnesota Medical School in Minneapolis. 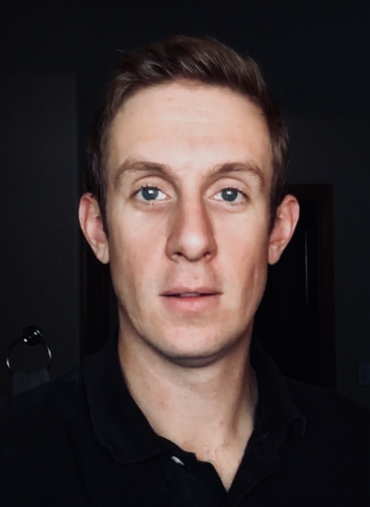 While completing his Emergency Medicine Residency at Hennepin County Medical Center in Minneapolis, he received training in their hyperbaric medicine program. He has been a SCUBA instructor and holds advanced SCUBA certifications. He is also an avid sailor, power boater, and kayaker. An accomplished paraglider and hang glider pilot, he received a first-place award at an international paragliding competition. Dr. Henrichs received Tactical Medicine and SWAT training at the Heckler and Koch International Training Division in Washington, DC. He has served with the Bellingham Police Department SWAT team and holds a black belt in Taekwondo. A recipient of a Rensselaer Polytechnic Institute Mathematics and Science Award, Dr. Henrichs is grateful to have been recognized for his contributions ranging from heartfelt thanks from individuals he has served in remote third world regions, to an award for academic and leadership excellence from a President of the United States at the White House. Dr. Henrichs was voted by his emergency department nurses as “the physician they would most want to care for them or their family,” an acknowledgement for which he is especially proud and humbled. Dr. Henrichs practices emergency medicine in Bellingham, Washington at Peace Health St Joseph Hospital and at Peace Island Medical Center in Friday Harbor on San Juan Island, Washington. Darren Stokes is a Wilderness Emergency Medical Technician (WEMT). He has spent the past 15 years as a professional trainer for Wilderness Medical Associates International, where he has logged more than 1,000 days training first responders and presented nearly 200 on site trainings in wilderness first response. Darren teaches medical and on-medical personnel throughout the US, Alaska, and Internationally. He specializes in training people who work in extreme environments, including aviation, spaceflight, remote space analogues, Antarctic and Arctic research, high-altitude research, oceanic research, Naval Aerospace Medicine Operations, Navy SEAL teams, Air Force SEER Instructors, Heli-ski guides, river outfitters, forestry workers, and many other remote expedition guides and leaders. He is part of the volunteer unit of Chaffee County Search and Rescue, where he has served as Training Officer and Board Member. He is also a member of the Swiftwater Rescue Team. Darren has been an Outdoor Guide and Instructor for over 30 years and holds a Masters Degree from Ohio University. He lives in Buena Vista, Colorado at the base of the Collegiate Peaks and on the banks of the Arkansas River. He owns Colorado Outside, a local provider for Wilderness Medical Training. Darren shares his love for the outdoors with his wife Tina, son Jesse, and daughter Bailey. The kids have been skiing since they were two and rafting since they were three, keeping up with them is Darren’s foremost outdoor challenge. 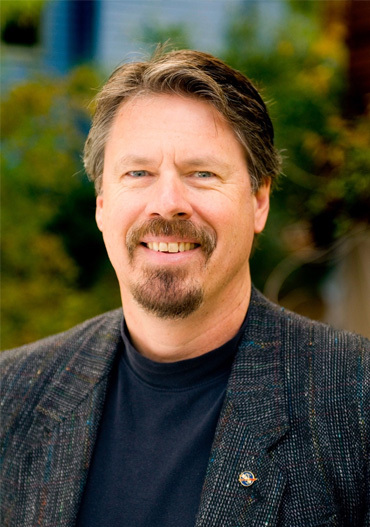 Dr. Rick Lyons research interests involve applying complex data analysis of molecular and physiologic signals toward understanding the current state of an individual’s health. These precision medicine-focused methods are also being used for multivariate modeling and predictive analytics. Dr. Lyons is the former Director of the Infectious Disease Research Center at Colorado State University (CSU), and the former Chief Scientific Officer of the Infectious Disease SuperCluster (CSU). Prior to this, he served in the Department of Internal Medicine at the New Mexico Health Sciences Center, where he was Director of the Center for Infectious Disease and Immunity. He is currently on the board of the National Center for Genomic Resources in Santa Fe, NM and was also previously on the board of Biophysical 250, Austin, TX. Dr. Lyons has been funded by the National Institutes of Health (NIH) and the Defense Advanced Research Project Agency (DARPA). For several years over the course of his career, he has been on review committees for NIH. Dr. Lyons was a standing member of the National Academy of Sciences (NAS) Department of Defense Scientific Advisory Committee from 2012-2015 and has sat on a variety of NAS advisory committees related to research. He has also participated in several FDA committees evaluating new therapeutics. Dr. Lyons received his B.S. in Biochemistry at Washington State University and did his doctoral work in microbiology under the mentorship of Dr. Jonathan Uhr. He subsequently received his M.D. at the University of Texas Southwestern Medical School. He performed an Internal Medicine Residency and fellowship in Hematology and Oncology at Brigham and Women’s Hospital in Boston, Massachusetts. This was followed by a research fellowship in molecular biology at Harvard. Dr. Lyons has authored approximately 80 papers, and several reviews and chapters related to the pathophysiology of infection. He has been an ad hoc reviewer for multiple journals related to immunology and infectious diseases. He resides in Santa Cruz, CA. Mr. Schmidt has spent the last several years working as a Director of Clinical Sciences in collaboration with organizations, such as the Mayo Clinic, Weill Cornell Medicine, and the Icahn School of Medicine at Mount Sinai. Much of this work has been based on the integration of multi-omics data, including genomics, transcriptomics, serum chemistry, metabolomics, gut microbiomics, and measures of the clinical phenotype. He has experience in literature mining and interpretation, preclinical research, human clinical study design, trial execution, data analysis and pattern recognition, and manuscript preparation. These experiences are complemented by his skill in product development and project management. Caleb holds an M.S. in Immunology and Microbiology, as well as a B.S. in Biochemistry with a Minor in Chemistry.